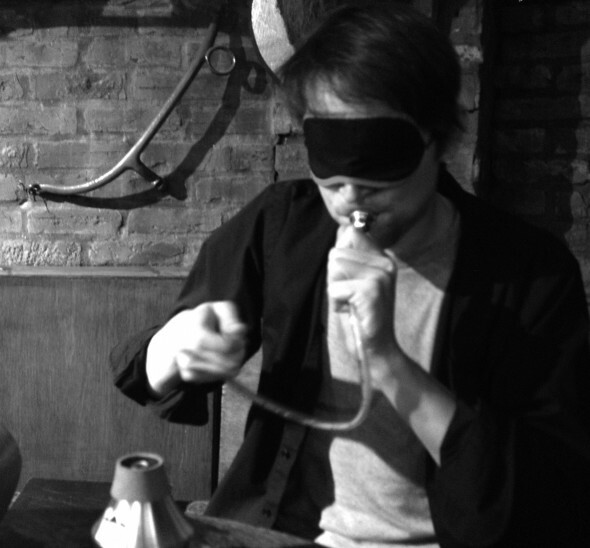 Neil Luck is a composer, performer, and curator based in London. His compositional practice focuses on various approaches to non-standard notations, in particular those which implicate either the composer’s own body/movement in construction, or directly engage with the physiology of performance techniques themselves. He studied composition at the University of Surrey, and at the Royal College of Music. Neil’s work as a curator has seen led to two major exhibitions in 2008 and 2009 in collaboration with Sam Belinfante; Notations 2008 and The Voice and Nothing More . Both these events were dedicated to bringing leading visual artists and musicians together, exploring the concept of the notated score through as wide range of media as possible. These exhibitions featured contributions from leading visual artists and performers. Neil is a co-founder of squib-box, alongside Adam de la Cour and Federico Reuben.